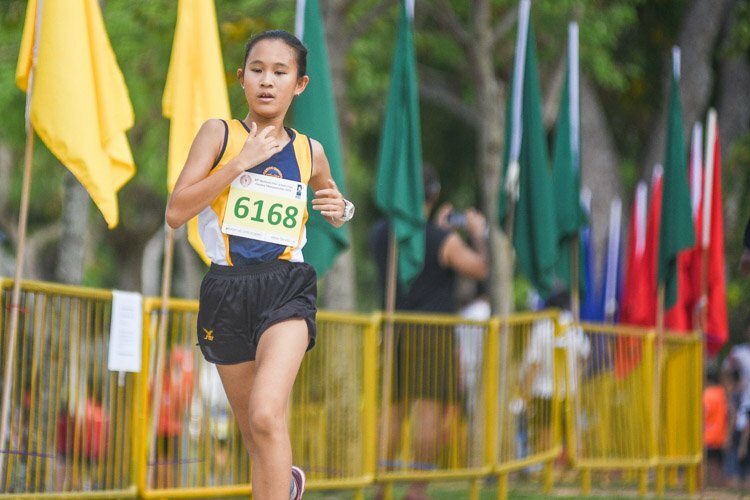 Temasek Polytechnic, Wednesday, March 24, 2010 - Victoria School, a name synonymous with overwhelming success in the Schools' Cross-Country scene, continued their proud and hallowed legacy at this year's National Inter-School Cross-Country Championships. They defended their boys' C Division title and added the B Division crown for good measure on their way to clinching their 30th and 31st team titles in both divisions since 1988. 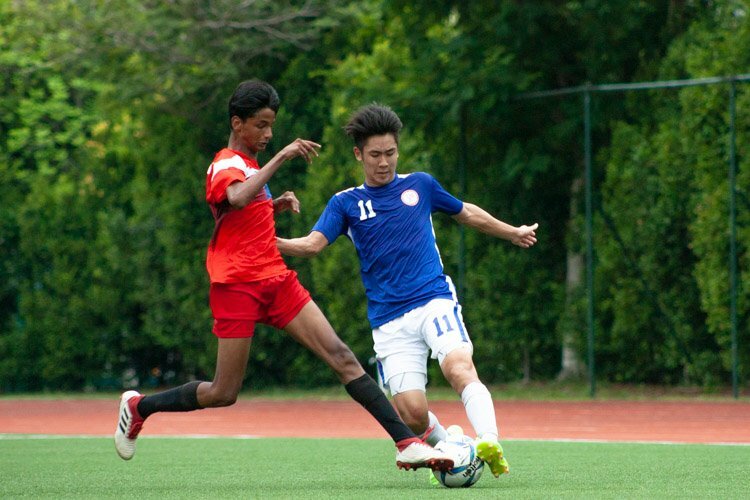 Marcus Ng blew the C Division competition away when he completed the 4.6 kilometre course in a lightning-quick time of 15 minutes 41.66 seconds. Remarkably, that would have been good enough to place him second by a wafer-thin margin in the B Division category and fourth in the A Division, where the runners are at least three years older. His margin of victory over second-placed Heng Yu Jie of Catholic High School of nearly 44 seconds was the largest of the day, and even though he also outran Yu Jie by 30 seconds in last month's Wings Cross-Country meet, and finished first in the National Under-16 Cross-Country Championships in January, Marcus did not feel he had the favourite tag. "There were a lot of other strong runners in the field, like Yu Jie. 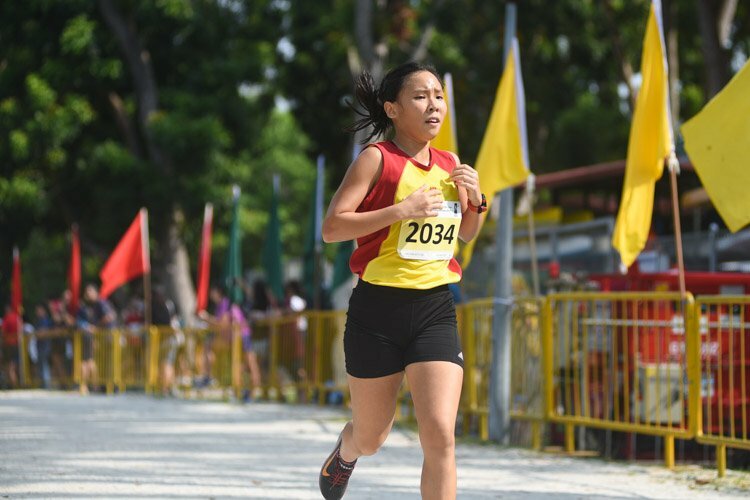 I was quite nervous as well," said the Secondary Two student, who finished behind the Catholic High runner in fifth place at last year's meet. "I felt some pressure at the start of the race, but I slowly gained confidence," said Marcus, as he described the race proceedings. "I then overtook Yu Jie around 1-1.5 km from the end. I am pleased with my time, and I'm very happy." Marcus may have won the individual title by a huge margin, but the first thing that the C Division team captain did when he completed his race was to turn around and look out for his other runners as they filtered in. 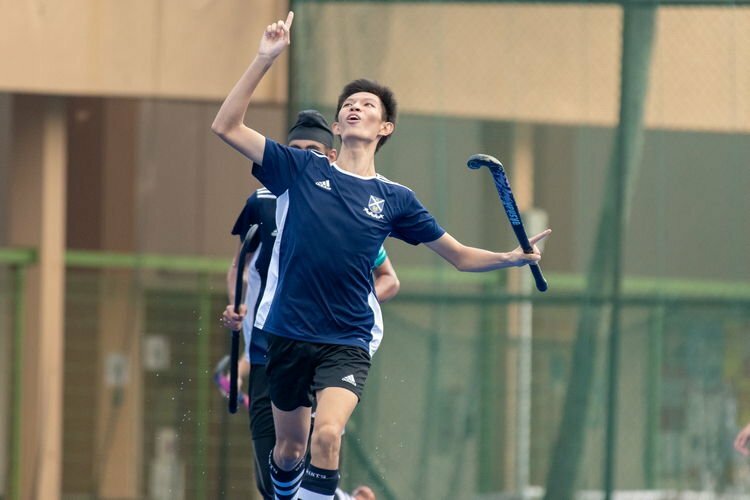 To his, and the Victorian supporters' delight, his team mates Mahesvaran, Sean Yeo and Branson Chua finished in fifth, eighth and 15th to successfully fend off the strong challenge from Catholic High and Anglo-Chinese School (Independent). Victoria totaled 29 points, while Catholic High and ACS(I) were second and third respectively with 37 and 40 points. "We did it through consistent training and thinking positively," explained Marcus, when asked how his team overcame the rest of the field to finish first. "We were both mentally and physically prepared, and we did it." He is the tenth Victorian to win the C Boys individual title, but when quizzed which title was sweeter to him, Marcus replied, "The team title. The school comes first." Over in the boys’ B Division, Victoria came in first as well. 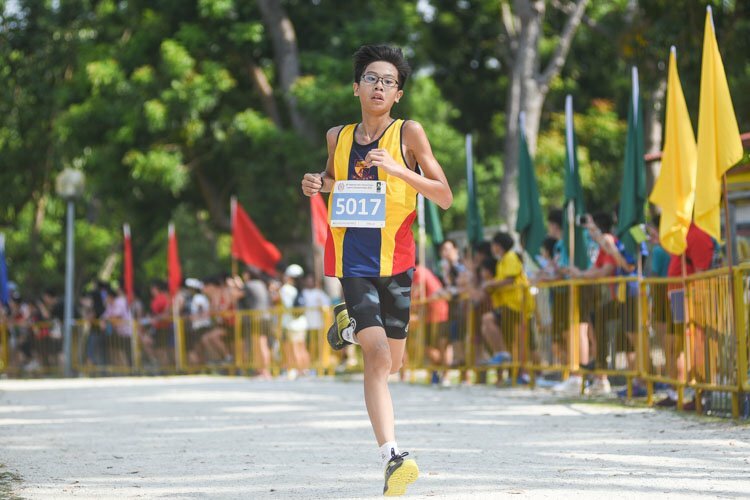 The pre-race chatter was on whether ACS(I)'s Zachary Devaraj, Aldrich Lim from Naval Base Secondary or Sports School's T. Haarishankar would win the individual title, but the Victoria boys stuck to their task at hand, which was to bring home team honours. That, they did splendidly, with multi-sport talent Venuraam s/o Selvan leading the way. 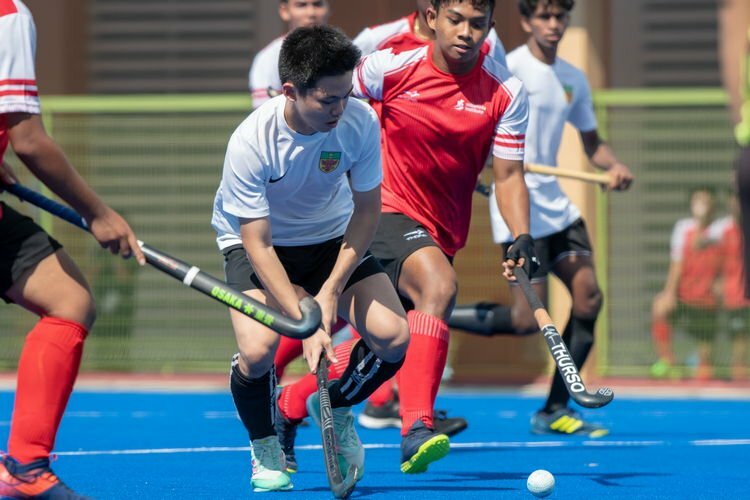 The Secondary Three student had a highly successful 2009, finishing second in the C Division Schools Cross-Country in March en route to winning the team title, and then going on to score the winning goal in the C Division hockey final in August. This time, Venuraam finished fourth to lead a pair of team mates behind him. Joel-David Wong and team captain Bryan Yong were fifth and sixth, and all eyes were now on Kelvin Hieng, their crucial fourth runner. Kelvin, affectionately called ´PK' by his friends and teammates, appeared on the finish straight running in an unnatural and awkward manner - a clear sign that he had little left in the tank. The hordes of Victorian supporters, which had gathered beside the finish straight, cheered him on to complete that final 30 metres or so, but he looked in absolutely no condition to do so. Kelvin's running stance became an unsteady gait, and as he stumbled towards the side barricades as other runners overtook him, all looked lost for team Victoria. Kelvin somehow managed to reach the finish line, and as he did so, he stumbled onto his knees, collapsed to the ground, and had to be stretchered to the medical tentage, where he was later restored to his full senses. "I was too tired, and too giddy. Maybe I did not have enough water when I woke up today," said Kelvin, when asked to recount the final portions of his race. "I was going too fast at the final part of the race, near the toilet." "I hoped I could come back, and finish the race. Finishing was my only objective." Thankfully for Victoria, the Secondary Four student’s final position of 18th was more than enough for them to clinch the team title. 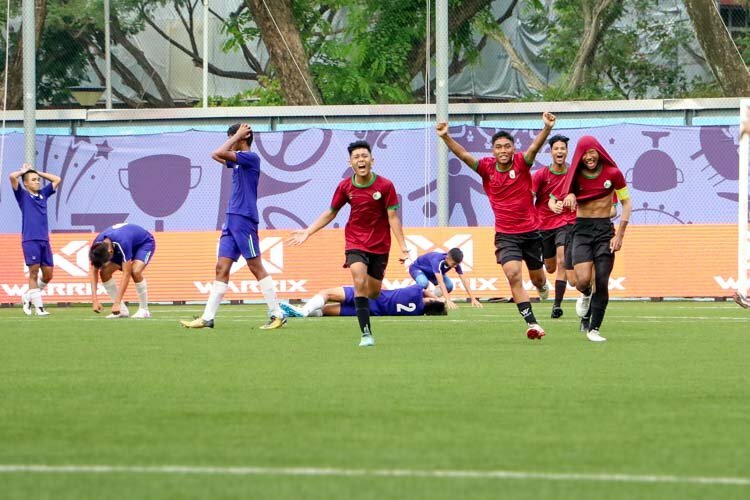 They finished with 33 points, while St Joseph's Institution and ACSI were second and third with 52 and 53 points respectively. "We were quite confident of the title," said Bryan, after the race. "We had trained hard for it, and we did our best. We just ran our own race." When asked how the team would celebrate the sweet victory, Bryan cheerfully replied, "Pizza and Soccer! It's a tradition!" The delight at the double victory was clearly evident throughout the entire Victorian family, including Victoria School principal Mr Low Eng Teong. "It's an amazing feeling. Our school motto is Nil Sine Labore, which means ´Nothing without labour', and this (the double victory) is, to me, Nil Sine Labore at its best. 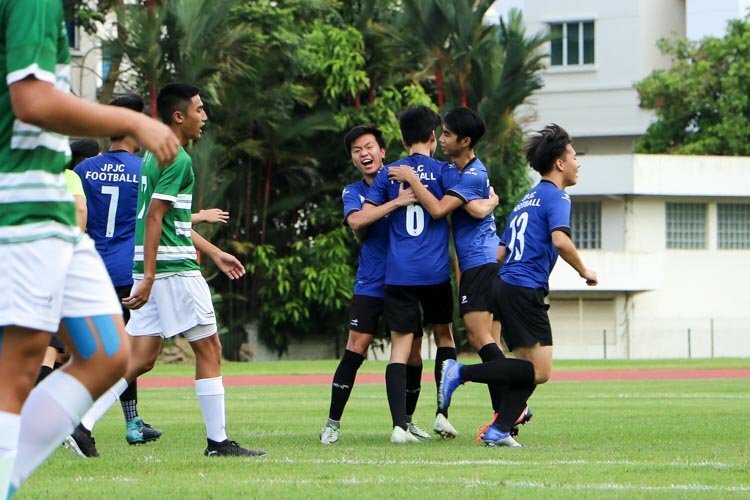 The boys, with the amount of effort they put into training with the teachers, almost training six days a week, and with the full support of the parents, and the boys determination of wanting to bring both the championships back, and they did it today," said a jubilant Mr Low. According to him, it was the Victorian spirit which sets the team apart from the rest. "I think overall, we can see that we are one of the schools with the most supporters coming. In particular, the Secondary Fours, who are willing to put aside a day to come and give their full support to the boys." "So when the boys ran, they know that they are not just running for themselves. They are running for the team, for the school, and I think, at the end, that is the edge that we have, the Victorian Spirit, that gives the boys the edge, the final push. To be the champion, you really need to be at your best." 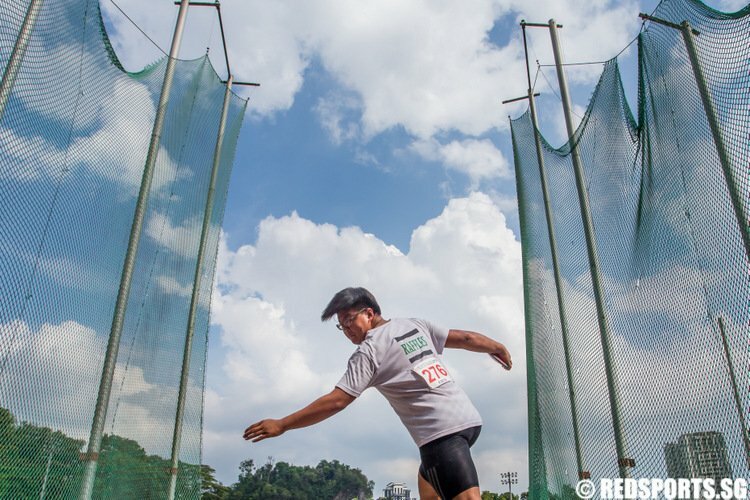 The never-dying school spirit which has lived on through the years, was exemplified by ex-VS cross-country master, Mr Ho Kiat Chong, who was spotted at the meet. 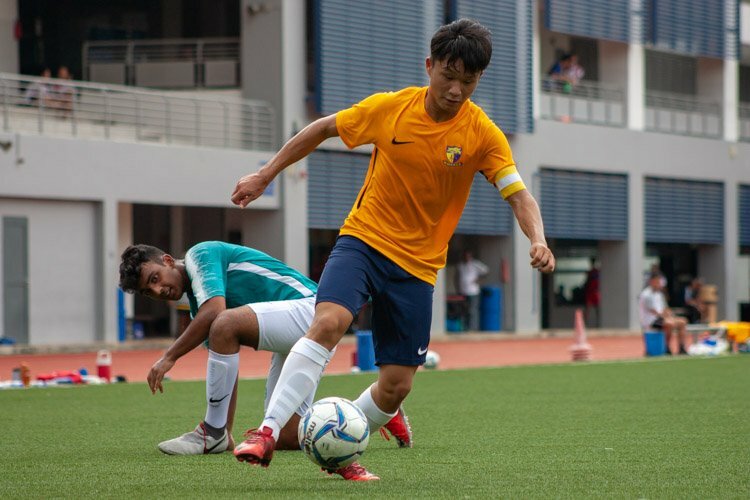 "I still come back to give encouragement to the team, and to tell them stories of what happened in the past," said Mr Ho, 63, who retired from the teaching service in 2004. 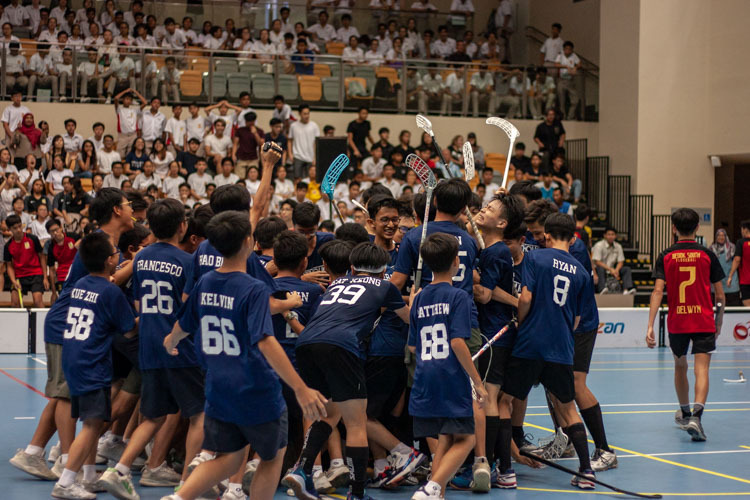 Mr Ho was largely responsible for establishing Victoria School as a cross-country powerhouse, and since their maiden title in 1988, they have won at least one title every year, save for 2007, when they returned empty-handed. And his advice that he dished to his young charges was nothing short of the brutal truth. "I will tell them that they have to suffer as much as possible during the race, and then enjoy after that. The runners must be able to suffer. They must." While the team and especially Kelvin certainly suffered a lot during the race, enjoy they most definitely did after. And their school principal gave an indication that more celebration was on the cards. “I've been asked whether I will give the school a half-day off, and in fact the boys were shouting for a full day, so my response to them is: It's for me to know, and for them to find out, eventually." You can write your own piece about Hwa Chong. You send it, we post it. truly, Nil Sine Labore. 🙂 great job boys, it’s not easy carrying the tradition of a school on their backs. This year B Division 4th, 5th and 6th placing are in Sec 3. And this year C Division 1st placing is in Sec 2. VS will have a very strong B Division team next year. Look forward to Marcus in the B Division next year. For sure…Marcus Ng will make big waves…!